Dude! Check out my home theater! I have the ultimate alien room! See? Isn't that an awesome home theater? 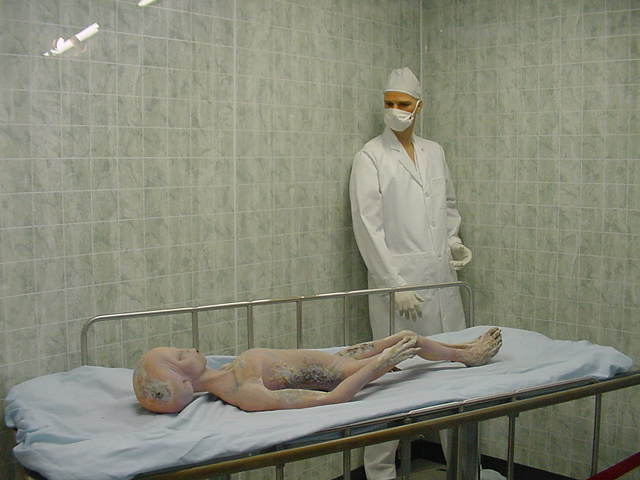 That alien looks really stupid,and that poor chap on the bed doesn't look too good does he...? Don't make fun of my husband! And that's my wife laying in bed, you should be ashamed for making fun of her!